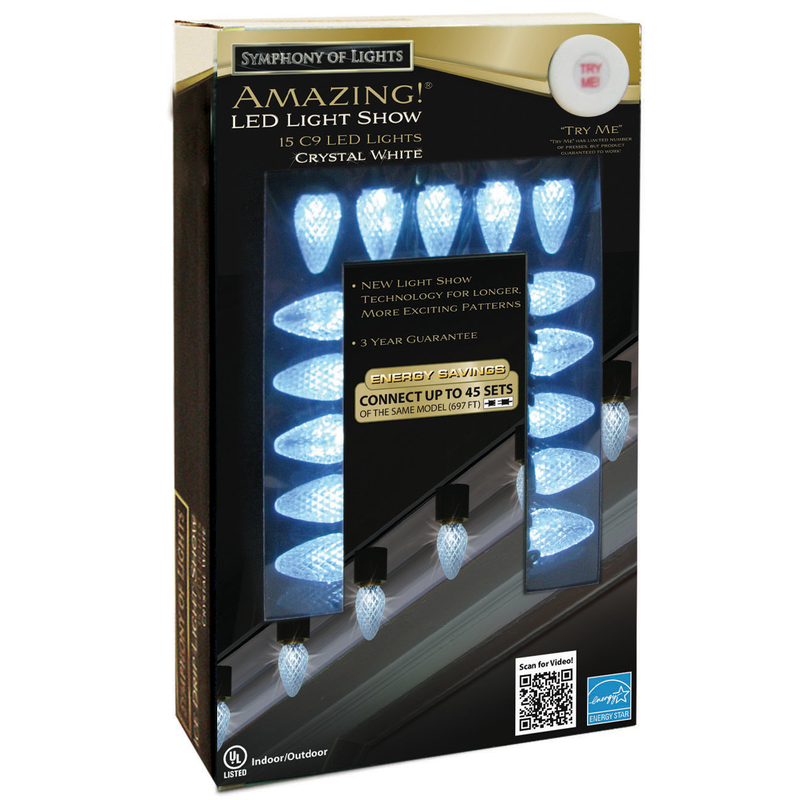 A Dazzling Pure White Multi Function C9 LED Party Lights come with 15 C9 lights on a green light strand with a lighted length of approximately 14 feet. 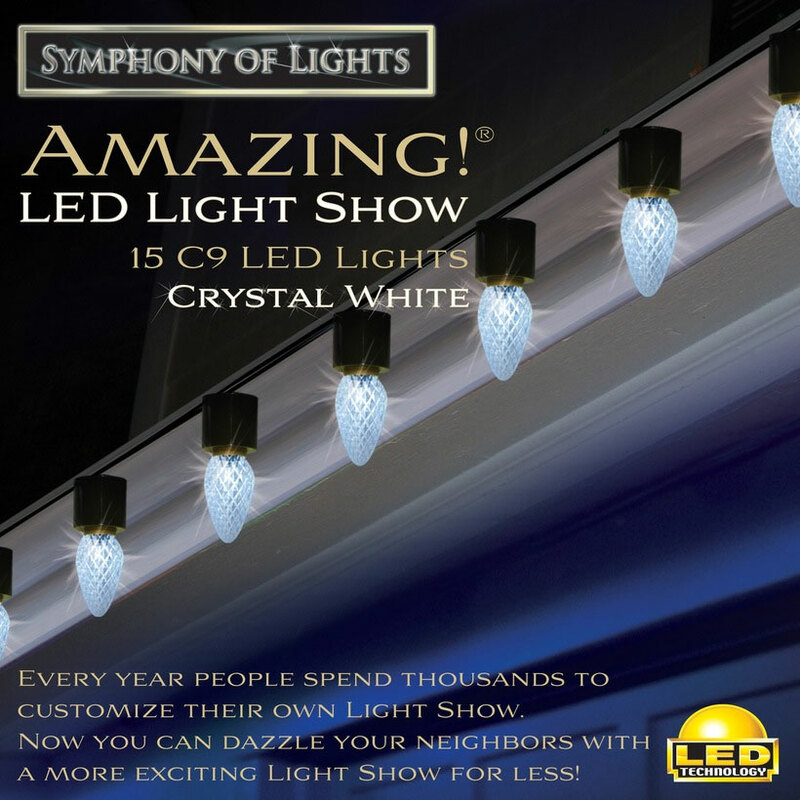 Connect up to 45 sets of the same model (that is a whopping 697 feet of amazing lights). This amazing light show will be sure to impress anyone who lays eyes on it. 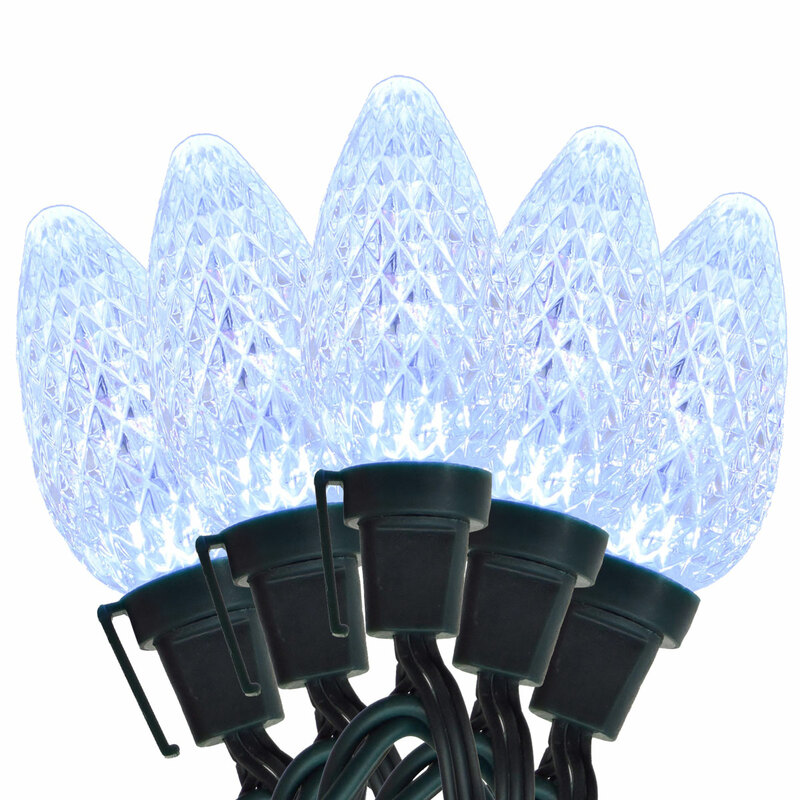 these C9 pure white LED Christmas string lights! 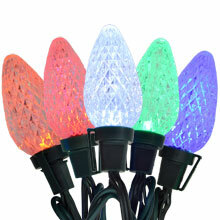 as a beautiful Christmas light display. with 15 C9 faceted LED lights on a 14 foot green cord. Approx. 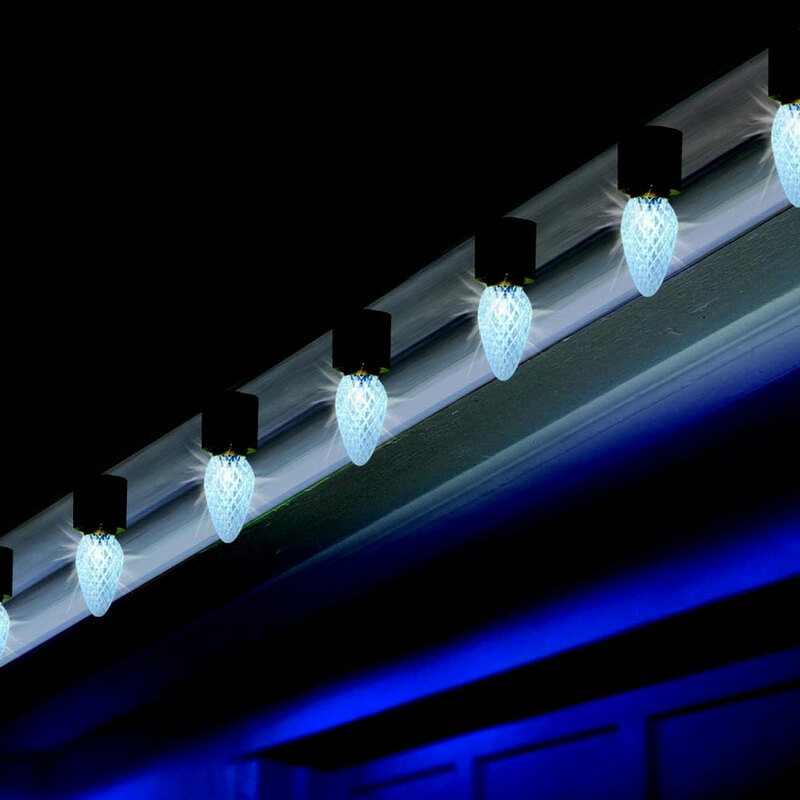 14 ft. lighted length.